It seems that Sergio Marchionne isn’t easily decided on what to do with Ferrari and what their future ownership should be. I’d give the man his dues for having a full plate with stuff going on at Chrysler and Fiat but the legendary prancing horse logo deserves more attention. 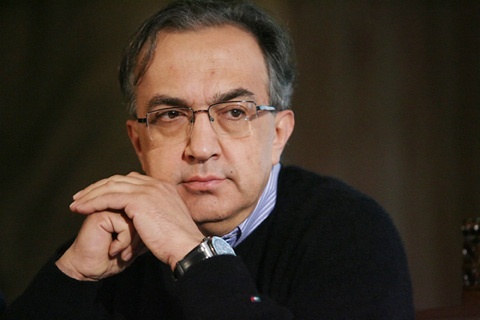 His though decision is whether or not he sees Fiat retaking over its 90% stake in Ferrari. On a short recent history of Ferrari ownership it would be imperative to know that Fiat had at one point owned 90% of the company, but then sold off 34% of the company to an Italian merchant bank called Mediobanca, with the option to buy back. Fiat later on bought back most of the stake except for 5%, which eventually would up being sold to an Abu Dhabi development company. If money’s the issue at hand it’s rather important to mention that even if Ferrari retained 51% of the company and sold the rest at market, it could raise a hefty piggy bank. The 2002 and 2005 transactions with Mediobanca and Mubadala Development Co. (the Abu Dhabi consortium) valued Ferrari at $2.9 billion. Another rather confusing statement from Sergio Marchionne in regards to Ferrari’s ownership came in the form of him saying that although an IPO is not in the immediate future, he could not rule anything out over a longer frame of time.